I think I’ve created a monster. My oldest son will be 7 years old tomorrow, and he has become a bona fide super hero nut. I now seem to spend the majority of my days answering questions about who (fill in the blank with super hero name)’s “main enemy” is. My house is now home to items such as Hulk Hands and Captain America costumes. Books brought home from the library about Bob the Builder or the Berenstain Bears have been replaced with titles like Hulk Saves the Day and Darkseid’s Revenge. But what he loves more than anything is Marvel’s Super Hero Squad. 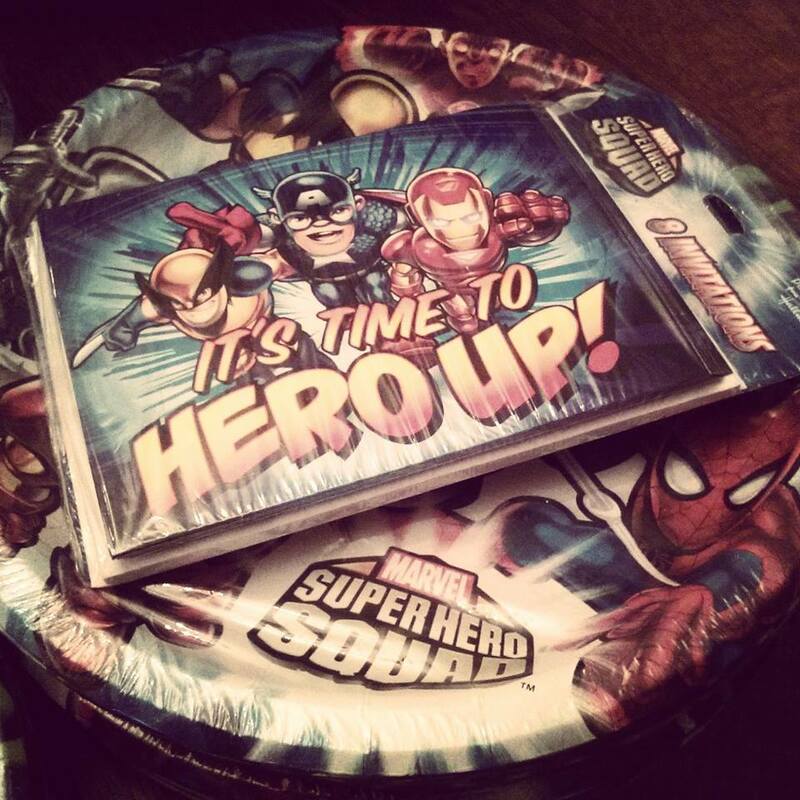 As I type this, there is a box of Super Hero Squad party supplies at my house awaiting deployment during my son’s birthday party this Friday night. He would watch the cartoon on the Hub Network every afternoon, if we let him. I finally broke down and got him an account to play Super Hero Squad Online, which lets you control these child-friendly versions of Marvel super heroes and send them out on different missions, and now I get a full briefing every afternoon. I may as well be an agent of S.H.I.E.L.D. Cute as they are, it’s these enthusiastic rundowns of the day’s adventures that have been bothering me as of late. I wouldn’t say my son’s interest in all things super hero has become unhealthy, but he does talk about them an awful lot. An awful lot. As someone whose own head is full of seemingly useless facts and information, I worry he’s not spending his time and energy on truly useful things. I wish sometimes he would talk to me more about wanting to build things or what he want to be when grows up or about God or really anything besides the Super Hero Squad. You know where gets this from, though? Right here. Me. I still have a box full of comic books in my closet. I made my very pregnant wife wait in a long line of comic book geeks several years ago just so I could see the first Spider-Man movie on opening night. In fact, I still have my Secret Wars Spider-Man action figures (Traditional costume and black symbiote, thank you very much.). I’m playing Marvel Avengers Alliance on Facebook, and I’m at a higher agent level than I care to admit here. And I am so, so jealous of all the cool super hero stuff my son has access to these days. I would have bankrupted my parents (or tried to anyway) if it had all been around when I was growing up. We have a family tradition now where I take each child out to celebrate their birthday – just me and them. I have a Chevy S10 pickup truck, so there’s only one other seat besides mine. This means if you ride with me you’re the center of attention. I took my son out this past weekend, and our conversation inevitably ventured into super hero territory. I was beginning to feel that familiar discomfort when I suddenly realized something I had never thought of before: My son was talking to me about something he was interested in. I loved my dad, and he did a lot of things for me. He coached my baseball team for a couple of years, even though he didn’t really know that much about baseball. He worked hard to provide for me. I don’t ever remember talking to him about comic books, though. I’m not sure why, but we somehow never made that connection. And now, all these years later, my son is trying to make the same connection with me, and I’m worried about it? There are thousands of stories out there about dads and sons who never learned to talk about anything. They just don’t understand each other. While it may seem juvenile and unproductive and silly, I understand comic books and what makes them so appealing. And somewhere in his 7-year-old brain my son understands that Dad actually thinks the Super Hero Squad is pretty cool, too. Sometimes you don’t get to choose the connection; sometimes it chooses you. So instead of powering down, maybe it’s time for my hero up. It’s what any good squaddie would do. 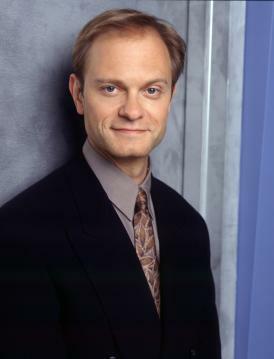 For my money, Dr. Niles Crane is one of the greatest creations in the history of television. Just go watch the opening sequence of the Frasier episode “Three Valentines,” where he nearly destroys the apartment of his older brother, Dr. Frasier Crane, simply by attempting to iron a pair of pants. I don’t know if anyone could have made that sequence work like David Hyde Pierce. I’m simultaneously amused and incredibly impressed every time I see it. Sadly, Pierce has been virtually absent from television entirely since Frasier ended its run on NBC in 2004. He appears to be spending most of his times these days on the stage, even picking up a Tony Award in 2007. As much as I remember Pierce for his work on Frasier, though, I think I will forever remember him equally for a comment I once heard him make during an interview concerning Alzheimer’s disease. Pierce’s grandfather and father both struggled with this form of dementia, and its spectre hangs over him still, as he continues his work as an advocate for the Alzheimer’s Association. Although I cannot remember Pierce’s direct quote, it went something like this: Every time he forgot a line or a cue, he felt fear rise up in him. Could this be the onset of Alzheimer’s? The history is there. Is it an inevitable outcome? I read recently that only 10 percent of the people who report having an allergic reaction to penicillin are truly allergic to it. Well, meet one of the 10. And guess who now has two children who also appear to have had an allergic reaction? Whether they are truly allergic to Alexander Fleming’s most famous discovery remains to be seen, but for now we just assume that they are. I remember when we made this discovery, I made a remark along the lines of, “Good grief, why can’t I ever pass anything good on to them?”. Now, there is nothing – short of completely altering my genetic makeup somehow – I could have done to prevent this particular glitch from passing from me to my children. There was no way my wife and I could have ever discovered this potential allergy without my children getting sick and, subsequently, having an allergic reaction to this drug. In short, there was no good and fair way to find this out. They get the crappy symptoms, and you find out you were probably the cause of it. When you make your first discovery as a parent that you can pass down not-so-good stuff to your children simply by, you know, being you, the temptation is there to become hyper-attentive to other traits you may have shared with them. Now that I am trying to sort out what it means to be someone who has been diagnosed with dysthymia, the emotional states of my five children (Well, maybe not the baby. Little difficult to gauge emotions at a year old.) have become of particular interest to me. In fact, I think I’m about a hair’s breadth away from becoming so sort of weird amateur child psychologist. Every flare-up of anger, every pouting frown, every appeal from one of them to not attend some class or gathering by themselves… What if I passed this on to them, too? I’m not panicking or lining them all up to be psychologically evaluated, but the thought that some dark seed from my brain might have worked its way into theirs does cross my mind. One of the hallmarks of dysthymia is feelings of guilt, and what better way to trigger those than the notion you could emotionally handicap your own children simply by just being the way you are. Just as Pierce continues to fear Alzheimer’s while still working to derail its effects on others, I find myself in the strange position as a parent of working to unravel the mystery of depression in myself while simultaneously attempting to ward it off in the lives of my children. Also like Pierce, though, I am attempting to turn what could be a fear-inducing situation into a rallying cry for hope. If I can make some sort of sense out of what is inside me, I can pass on what I have learned to my children. I can’t change the building blocks of who I am that get passed on to those I love. 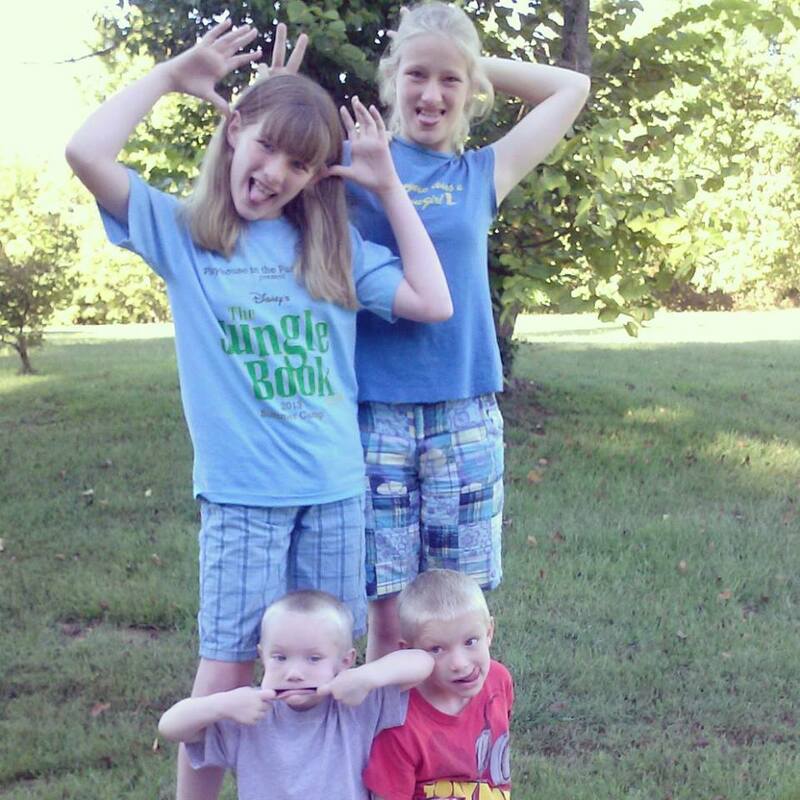 My children may have all kinds of allergies, skin problems, flat feet, and sensitive stomachs, but maybe they’ll also have access to a hope I didn’t always know how to tap into growing up. That’s something I would be proud to pass along. When my wife and I found out in April that our baby daughter had a hole in her heart that would require surgery to repair, a wave of thoughts and emotions swept over me. There were, of course, the obvious sensations – disbelief, shock, fear, thankfulness (that the problem was found), hopefulness. One thing I did not expect, though, was the odd sense of calmness and clarity I had sitting in the doctor’s office that day. 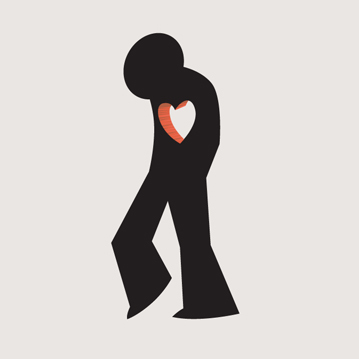 In a way I still don’t quite understand, the parallels of a broken human heart and a broken spiritual heart were made very clear to me. Once our doctor informed us my daughter would require surgery, I immediately realized her fate was totally out of my hands. I knew absolutely nothing about cardiac surgery, and that was the only avenue we could pursue at that point. I believe that is how God was first introduced into my thinking that day. He was the one who would truly determine the outcome of the procedure to come, no matter how skilled our surgeon might be. From that day on, my wife and I went through a process of handing things over to God until we finally, literally, handed our daughter over to the surgeon on the day of the surgery. These physical terms were easy for my mind to lock onto. The spiritual similarities were numerous as well, though. For instance, had tests not revealed the hole in my daughter’s heart we would have never known it was there. To us and everyone around us, she appeared to be perfectly healthy. In other words, her outside appearance appeared to be fine while her inside state was one of decay. This is akin to our fallen state as sinners before God, in which we say all the right things, wear all the right clothes, perform all the right deeds, all while our inward being is rotten to the core without His forgiveness and grace. The surgery on the hole in my heart was also not one I, nor any other man, could perform. I had to place my heart in the hands of the Great Physician, the same one who called Lazarus forth from the tomb. My daughter’s chest still bears a scar from her procedure, and she is still technically in the recovery stage. Jesus was scarred for me, and I now live a life that – even though redeemed – still bears scars from the past. I still struggle daily to put to death many of the sinful desires of my old life as I recover to spiritual health. 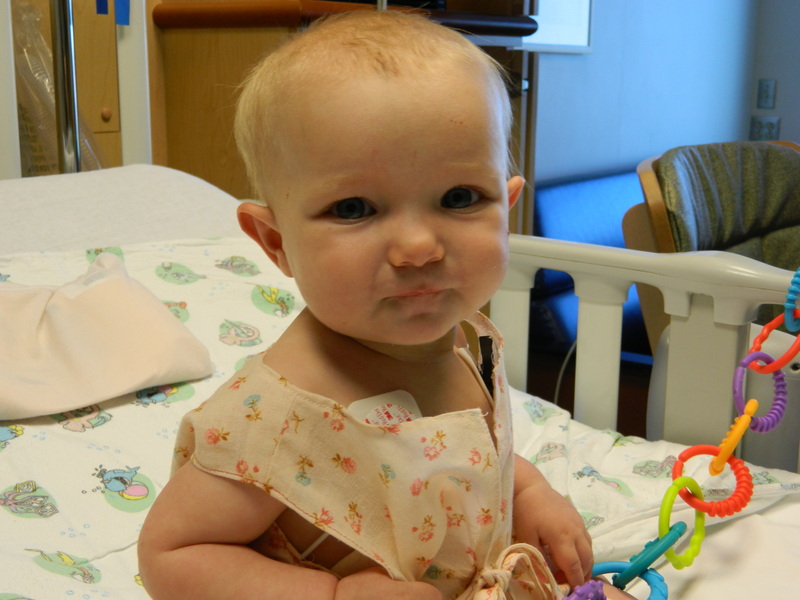 In the late 1600s, Pascal wrote of the “God-shaped vacuum in the heart of every person.” In 2013, a team of doctors momentarily stopped my daughter’s heart and repaired it to normal working order. The fact that God can fill the vacuum and that babies can survive open heart surgery is miraculous to me. Holes are being filled. Hallelujah! Tomorrow, I will be 39 years old. Yep, the big three-nine. Thirty-nine. Okay … there we go. Last year, I wrote a monstrous post about all the deep realizations I had regarding life as a 38-year-old. Strangely, I don’t feel much of anything as I stand on the brink of 39. Not that much has changed since last year, as far as my feelings about age are concerned: The thought of turning 40 still bugs me; 39 is just a stop along the way. While my actual birthday isn’t stirring much in me this year, I still have plenty of things to think about as the big four-oh looms in the distance. I have a daughter who’s not even six months old yet, so there are baby challenges. With the ages of my other children ranging from 10 to 3 right now, my wife and I will basically being running the gamut as far as child-raising issues are concerned this year. And, of course, all this will come in the midst of my still trying to figure out how to be a grown-up, something I haven’t managed to accomplish in the previous 38 years. 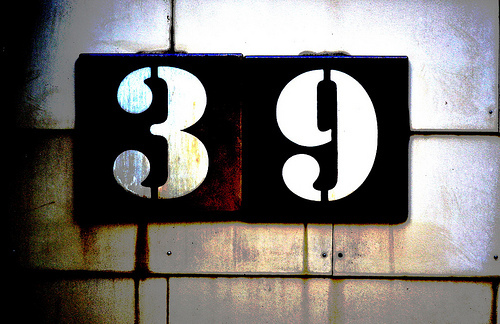 I could actually sum up my feelings about 39 in three words: One more year. Come tomorrow, I’ve only got one more year to accomplish all those things I wanted to before I turned 40. And that realization comes with the even harsher reality that if I haven’t gotten all those things done over the course of 38 years, what makes me think I’ll get all done in one? So forgive me if I don’t feel particularly reflective this year. I have a feeling I’m going to be doing enough walking down memory lane as it is this year. Thirty-nine is here. See you at 40. I had never had a dog live in the house with me before Cookie, who is now four months old, and he has taught me one thing for certain during the time he has lived with us: I never want another house dog again. It’s not that I don’t love him, but he nips and he chews on things he’s not supposed to and he has to be let outside and he barks at all the wrong times – problems which would not be such a big deal if he were not inside the house. I know he will soon be bigger and better able to fend for himself, and he will be able to spend more time outside. I anxiously await that time. I would say that I had some questionable judgment concerning this whole idea, except I know exactly what I was thinking when we decided to welcome a new dog into our home: I was going to fix the previous wrong, eliminating the variables that made the first scenario fail. Had Rigel not been outside that night, he would not have been hit by a car and would still be alive; ergo, if we keep a new dog in the house, it is much less likely he will come to harm. In short, I believed I could create perfection … which I believe makes me very similar to the current president of the United States of America, Barrack Hussein Obama. While I could very easily fill up the rest of this space with issues I don’t believe President Obama is handling properly, I will give him this: He is doggedly determined to see his agenda achieved. Sometimes I wish I had the same kind of determination to get things done. Usually, if something comes out of the president’s mouth, it’s going to come to fruition one way or another. I’m sure I will be accused of some naiveté here, but I honestly believe Barrack Obama is doing what he feels is best for the United States of America. I also believe this is the president’s greatest flaw. He seems to believe we can achieve a perfect society and that his vision for action is what will bring that society to pass. I would even go so far as to say he believes Utopia can be achieved. “Utopia” is generally defined as a society possessing highly desirable or perfect qualities, and, really, if you stop and think about it, there’s not many among us who wouldn’t like to see that achieved. Who wouldn’t want to eradicate sickness, put an end to prejudice, ensure financial security for all, and make sure dignity is available for every person? I know I would certainly like to live in a world like that. The reality is, though, that Utopia does not exist on this earth, and even the noblest efforts to achieve it can bring unintended negative consequences. We’re already seeing some businesses cutting health insurance for their employees in anticipation of paying the fines that can come along with Obamacare. The “freedom of choice” for women the president so often espouses results in the deaths of over a million unborn children every year. Upping the minimum wage will make things easier for low-wage earners, but will further tax (no pun intended) businesses with another unfunded government mandate. Whether or not you agree with me on those last political points, I think we can all agree on this: Actions have consequences, and even our best intentions can sometimes have unintended outcomes. Unfortunately, there will always be poor people, sick people, crazy people, bullied people, disadvantaged people. I’ve not saying we shouldn’t do our best to fight every one of these states of being, but we also have to be willing to accept sometimes that we don’t have all the answers. I was convinced keeping our new dog in the house as much as possible would protect him. 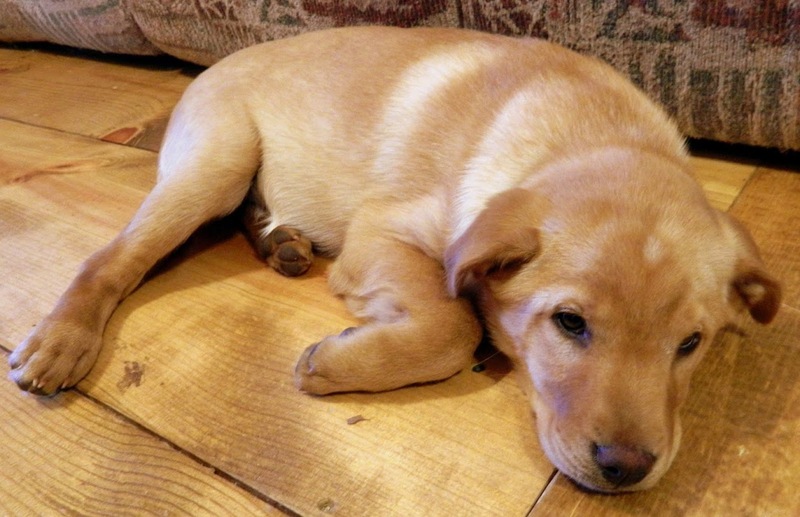 Labs don’t like to be cooped up, though, and my plan to create perfection for my family has actually led to quite a bit of chaos. Sometimes we have to give up our flawed dreams of Utopia and face the opposing view. I hope President Obama can learn to do the same.